Good morning, friends! I thought I’d start off the week by sharing this lovely little gem I discovered over the weekend on twoandsix. Sure, we’ve all seen bunting aplenty, but I find this so much more unique and interesting. 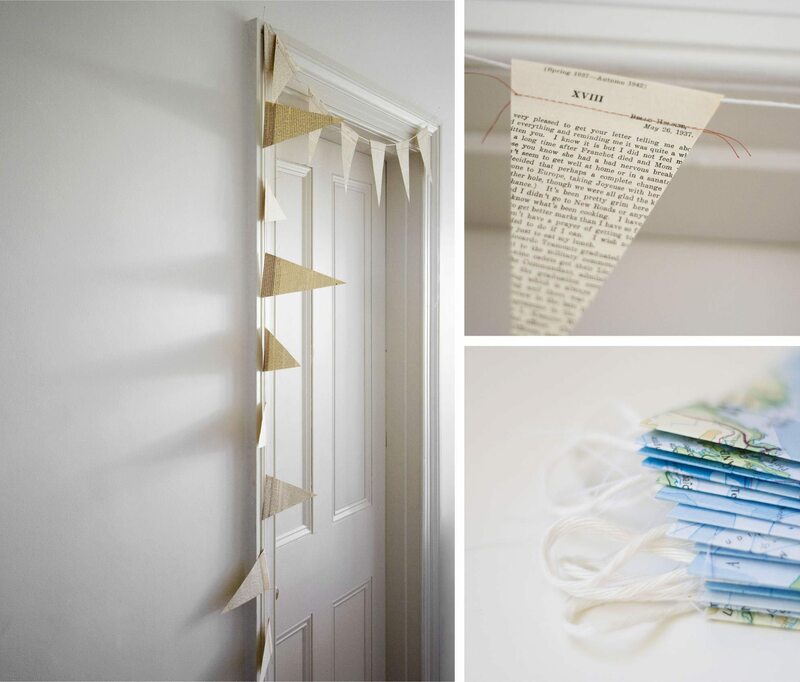 Each flag is made from newspaper (or is it pages of old books?) and sewn with bright red thread, strung on simple white chord. 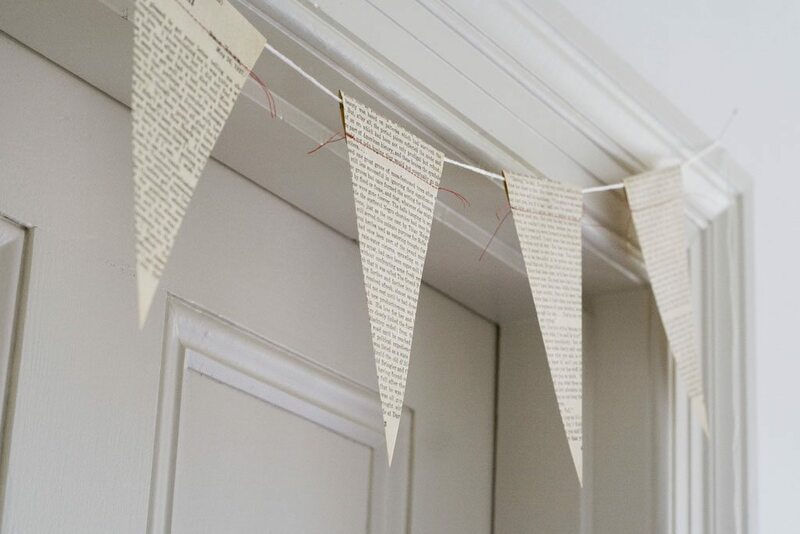 As wife to an English teacher and a passionate lover of literature myself, I instantly fall in love with details that incorporate newsprint paper. My husband is obsessed with the daily newspaper, so much so that just seeing projects crafted from newspaper makes me think of him. Coincidentally, a particular someone happens to have a 30th birthday coming up next month so this find has me completely inspired. What inspired you over the weekend?